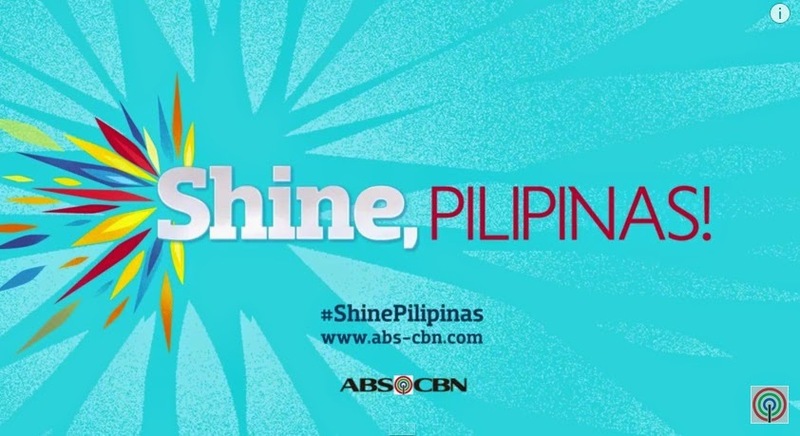 MANILA, Philippines - The Kapamilya Network ABS-CBN officially launched today, April 12, 2015 on 'ASAP 20' the highly-anticipated and newest summer station ID “Shine, Pilipinas.” The full video is now available online. Liza Soberano and Enrique Gil or more popularly known as the LizQuen love team from hit teleserye “Forevermore” performed this year's theme song that aims to show how Filipinos express their love and how this love gives us strength to smile through difficult times. The 6-minute “Shine Pilipinas” video serves as a battle cry that urges us to keep the fire burning and a summer anthem that empowers us to move to the beat of positivity. More than 100 Kapamilya stars were once again gathered to give life to this year’s campaign conceptualized and created by ABS-CBN Creative Communications Management. Some of the notable stars on the station ID are CharDawn (Richard Gomez and Dawn Zulueta), KathNiel (Kathryn Bernardo and Daniel Padilla), JaDine (Jamed Reid and Nadine Lustre), Angelica Panganiban, Angel Locsin, Judy Ann Santos, Bea Alonzo, Kris Aquino, Coco Martin, Vice Ganda, John Lloyd Cruz, Toni Gonzaga, Boy Abunda, Piolo Pascual, Sharon Cuneta and Sarah Geronimo. As the summer station ID was launched on Sunday, '#ShinePilipinas' immediately shows up on top trending topics on Twitter Philippines.